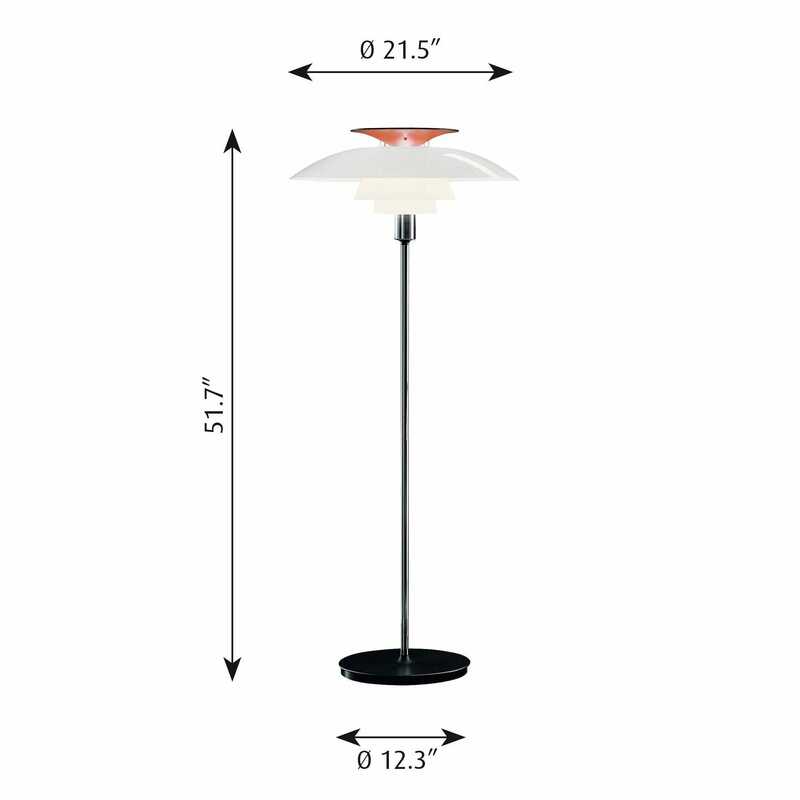 The fixture emits diffuse and symmetrical light. 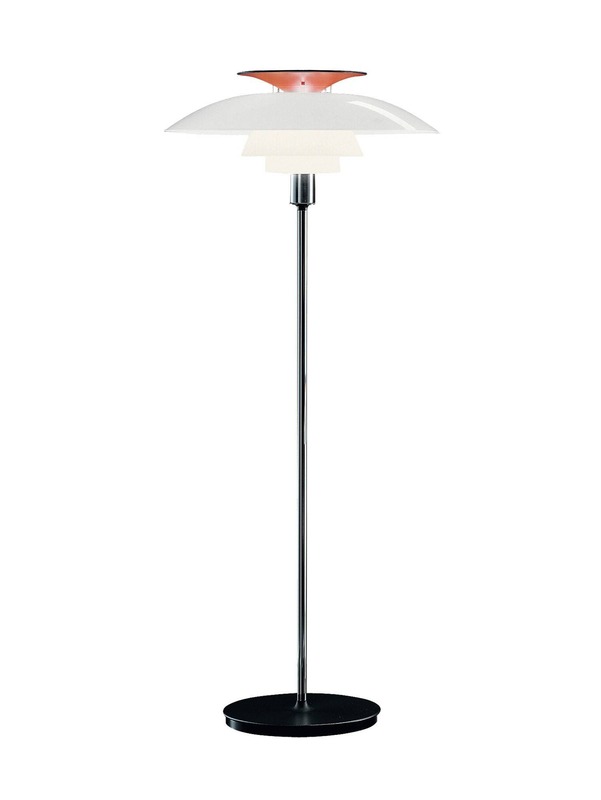 The majority of the light is directed downwards, and the opal acrylic shades provide comfortable room lighting. The red hue of the top reflector helps give the light a warmer glow. Top Shade: Black, high pressure molded polycarbonate.